If there is one thing you can’t fault the American government for it is a lack of persistence — the government’s willingness to stick to a policy years, and often decades, after it has proven to be misguided. This includes things like the war on drugs, the war in Iraq, and ethanol subsidies. Of course, there is probably no better example than the decades-long embargo against Cuba. It has obviously failed and it is now clear there isn’t even a real political argument for its continuance. According to a new Florida International University poll, even a small majority of Cuban-American community in politically important Miami-Dade County now favor ending the U.S. embargo on Cuba. 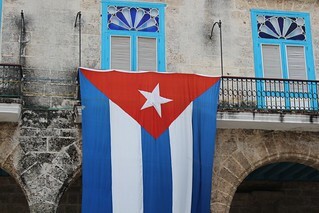 The poll found 52 percent against the embargo and 48 percent in support. In addition, the poll found 69 percent of Cuban-Americans in Miami-Dade County support allowing unrestricted travel to the island by Americans, and 68 percent want the United States to establish diplomatic relations with Cuba. There has been no legitimate policy argument for keeping the embargo going for years; and the last remaining political argument for it, that a party can’t risk upsetting a voting block in the important Presidential swing state of Florida, is now dead. Yet the policy still continues under its own misguided inertia. It is as remarkable as it is depressing.